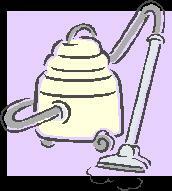 Discount Vacuum & Sewing offers a full service in-house service/repair department. Having your vacuum cleaner serviced on a regular basis will drastically extend the life of your vacuum cleaner. Changing your vacuum cleaner's belt, brush roller brushes and filter(s) insures that your vacuum cleaning is ALWAYS functioning at its "peak performance". One last trick, if your vacuum cleaner uses a bag, only fill the bag to 2/3's of capacity. This will keep your suction level at maximum capacity. 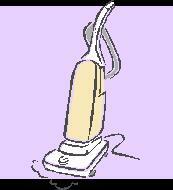 If your vacuum cleaner is bagless, empty your dust receptical and clean your filter(s) after EVERY vacuuming job. This too will keep your bag less vacuum cleaner operating at a maximum suction level. We offer an ever-changing, ever-growing inventory of refurbished "pre-owned" vacuum cleaners. Check out our stock of high-end refurbished vacuum cleaners, such as Kirby, Rainbow, Filter Queen/Princess, Electrolux and much more. Looking for a very basic, economical vacuum cleaner, we've got those used vacuums in stock, too! There is a growing inventory of uprights, canisters, bag less, and light-weight (Oreck) styles. Don't miss these bargains, please visit us soon in Santa Rosa. Which vacuum cleaner style is the best? Upright or canister? Upright style vacuum cleaners do an excellent job in wall-to-wall carpet environments. Most manufacturers offer models with attachment tools to do above floor cleaning; with some attachment styles being very convenient to use. Canister style vacuum cleaners with a motorized head and floor brush attachments work excellent in both wall-to-wall carpeting and bare floor environments. Most manufactures offer an assortment of attachment tools to do your above floor cleaning. Some models of canisters make moving to bare floor cleaning very easy. The general rule of thumb, if 30% or more of your home square footage is bare floors, then the canister style of vacuum cleaners work most effective and efficiently for you. Additionally, there are canister styles that are specifically designed for the bare floor environments only, offering incredible cleaning ability as well as, soft rubberized caster wheels, providing maximum floor protection.